If your child dreams of going to outer space, they’re going to fall in love with these space books for toddlers. These board books are going to be durable enough to read over and over and over. 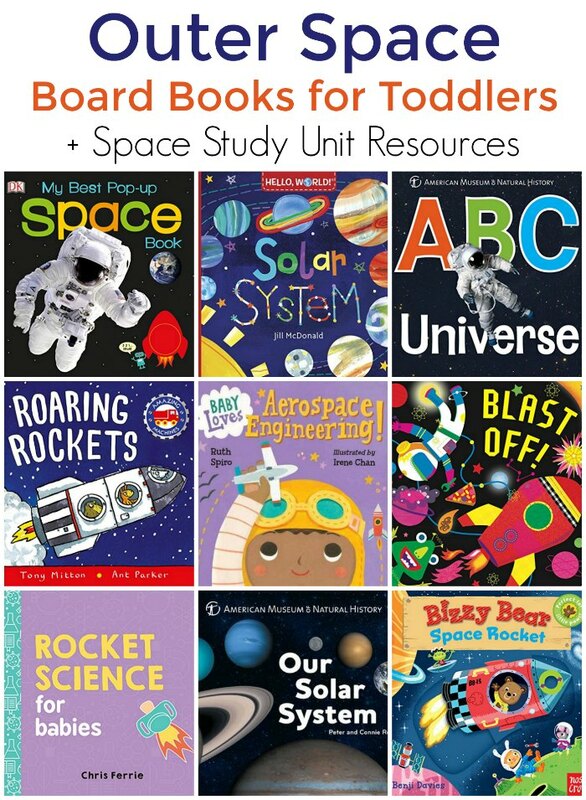 In addition to offering recommendations of space books for toddlers, I’ve teamed up with some fellow bloggers to offer you homeschool and in-class resources to teach kids seven and under about Space. You can find these space board books for toddlers at your local library or purchase through the affiliate links provided for your convenience. Hello, World! Solar System: Every young child loves to look up at the moon in the night sky. Now here’s a book that can teach toddlers about the sun, moon, stars, and planets—with colors, shapes, sizes, and super-simple facts (“Can you point to the red planet? That’s Mars!”). Told in simple terms and featuring bright, simple, cheerful illustrations, Hello, World! makes learning easy for young children. And each page offers helpful prompts for engaging with your child. It’s a perfect way to bring natural science into the busy world of a toddler, where learning never stops. Baby Loves Aerospace Engineering! 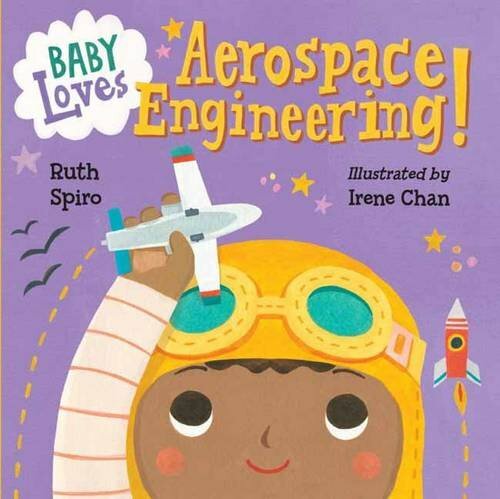 (Baby Loves Science): Accurate enough to satisfy an expert, yet simple enough for baby, this book explores the basics of flight – from birds, to planes and rockets – and ties it all to baby’s world. Beautiful, visually stimulating illustrations complement age-appropriate language to encourage baby’s sense of wonder. 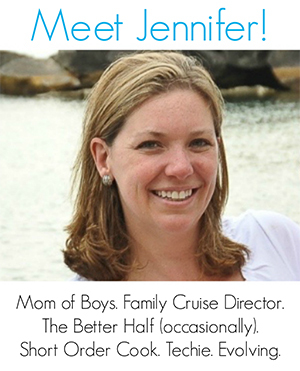 Parents and caregivers may learn a thing or two, as well! Our Solar System (Science for Toddlers): The youngest astronomers can go forth and journey into outer space in this fun, basic introduction to the solar system. The unique format presents our sun and each planet in order with graduated flaps—turn each flap to reveal fascinating facts on each celestial body, and even the Milky Way! 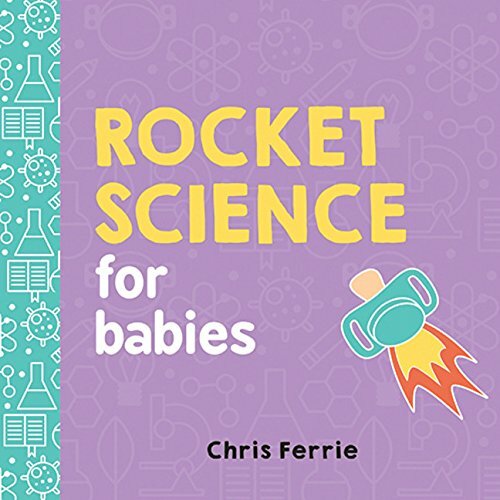 Rocket Science for Babies (Baby University): Rocket Science for Babies by Chris Ferrie is an introduction to aerospace engineering (also known as rocket science). Baby will learn the principles of lift and thrust, the forces responsible for flight. 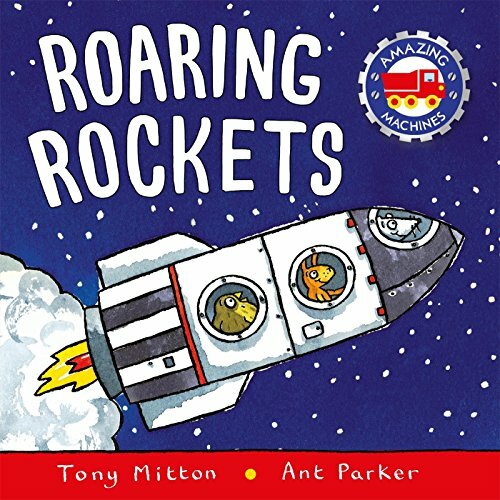 Roaring Rockets (Amazing Machines): Rockets have power. They rise and roar. This rocket’s waiting, ready to soar. Rockets carry astronauts with cool, white suits oxygen helmets and gravity boots. Blast off with more out-of-this-world couplets! This time it is machines that fly. In bright and bold illustrations that are as witty as the text, the animal crew roars and whizzes into outer space. 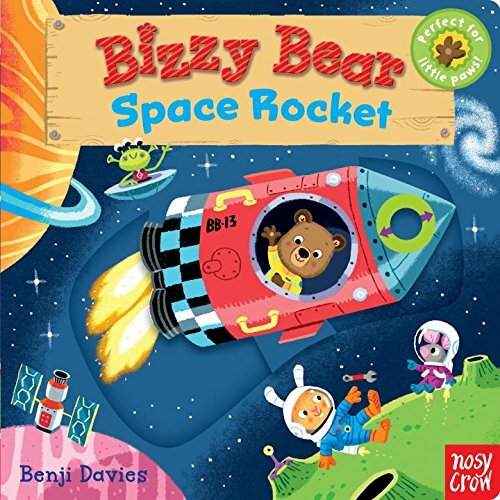 Bizzy Bear: Space Rocket: Bizzy Bear is exploring space! With sliders and tabs to push and pull, there’s lots of interactivity for toddlers as Bizzy blasts off, glides past aliens, and jumps around on the moon. The perfect book for little ones who dream of being astronauts! 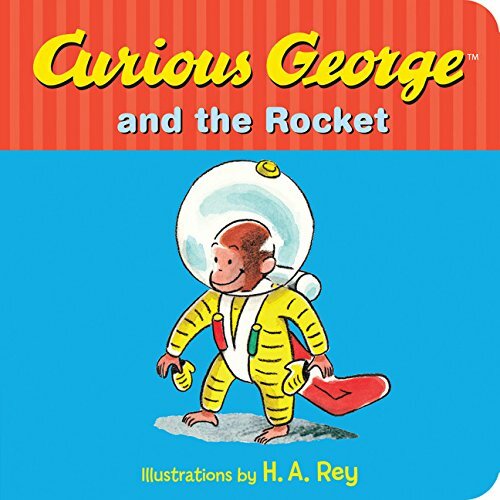 Curious George and the Rocket: This lively story captures George’s adventure of becoming the first space monkey from the classic Curious George Gets a Medal. 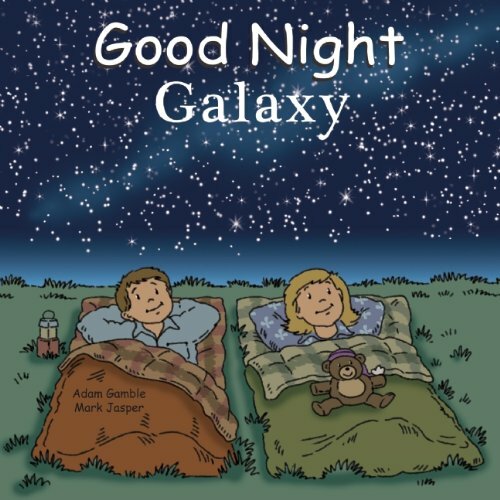 Good Night Galaxy (Good Night Our World): Good Night Galaxy explores the Milky Way planets, the sun, the moon, asteroids, comets, black holes, constellations, binary stars, the Big Dipper, meteors, the Orion nebula, red giants, and more. Blasting into outer space, this unique and educational board book gives young astronauts a tour of our Milky Way Galaxy. No asteroid is left unturned! 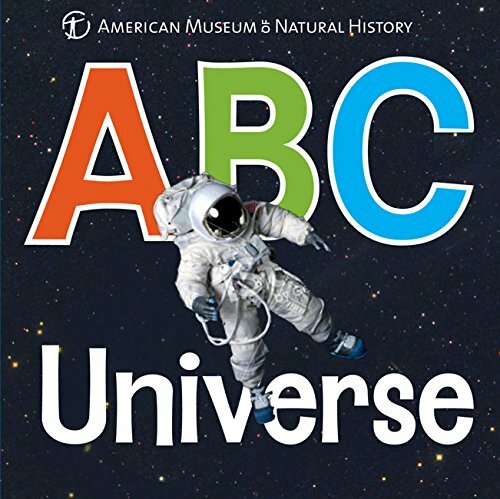 ABC Universe: From an astronaut in space to Voyager, yellow dwarf, and zenith, this ABC board book opens up the entire universe to children! 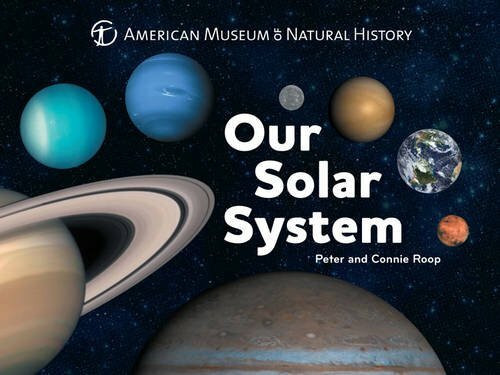 Created in tandem with the American Museum of Natural History, it takes kids on a photographic journey through comets, flares, and planets like Jupiter, and introduces them to black holes, supernovas, telescopes, and more. Perfect for the youngest astronomers. 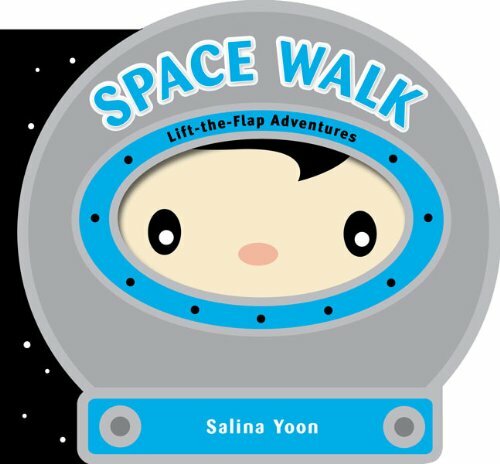 Space Walk (Lift-the-Flap Adventures): Blast off into space! Eight planets revolve around our sun, and we’re going to visit them, one by one. By lifting the flaps, young children will embark on a cosmic adventure. They’ll visit hot, dry Mercury; red, glowing Mars; and storm-ravaged Jupiter, just to name a few. 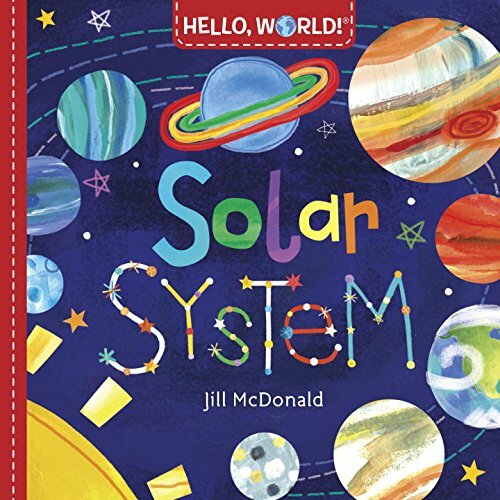 Featuring friendly rhyming verses with simple facts about each planet, and Salina Yoon’s fun and cheerful illustrations, this is the perfect fun introduction to the solar system. 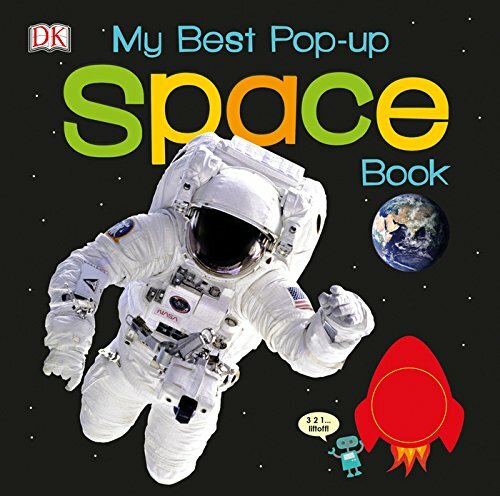 My Best Pop-up Space Book: Designed for toddlers ages 3-5, My Best Pop-Up Space Book is a child’s first guide to the universe. Starting with a blast-off sound button featured on the cover — and embedded on each spread throughout the book — youngsters will dive into the pages to find large pop-up surprises on every page. All key subjects are covered including Earth, the sun, the moon and stars, space travel, and astronauts, all with fun novelty elements including glittery stars and a full-page gatefold of the solar system. Blast Off! 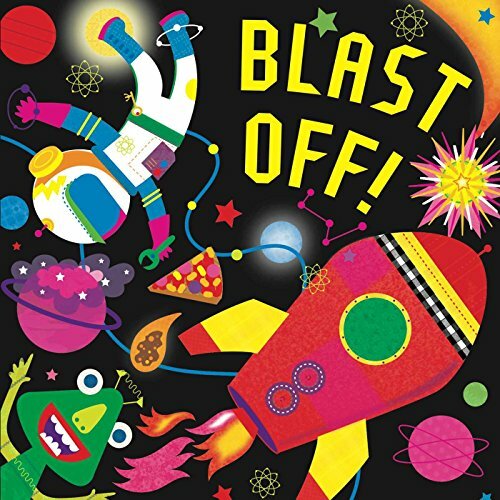 : A unique board book with bright, fluorescent rocket and space images! It’s time to blast off into outer space! This book includes fluorescent images of a rocket blasting off into space, snacks for the long journey, shooting stars, colorful planets, new worlds, aliens, and much more! The scenes are accompanied by simple, descriptive phrases on each page. With bright, fluorescent colors, this book is sure to catch children’s and parents’ eyes! Like these space books for toddlers? Find even more engaging book lists for kids with more than 100 book-themed reading lists!